2018 is a big year for us as we join Chicken Farmers of Ontario’s new Artisanal Chicken Program! 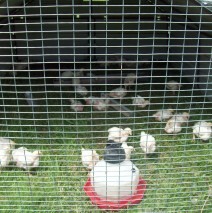 Our chicken are put out onto pasture in portable pens as early as possible. Sunshine, fresh air, lots of bugs, grass and organic grain produce a happy healthy birds full of flavour and vitamins. Poultry manure makes fantastic fertilizer! 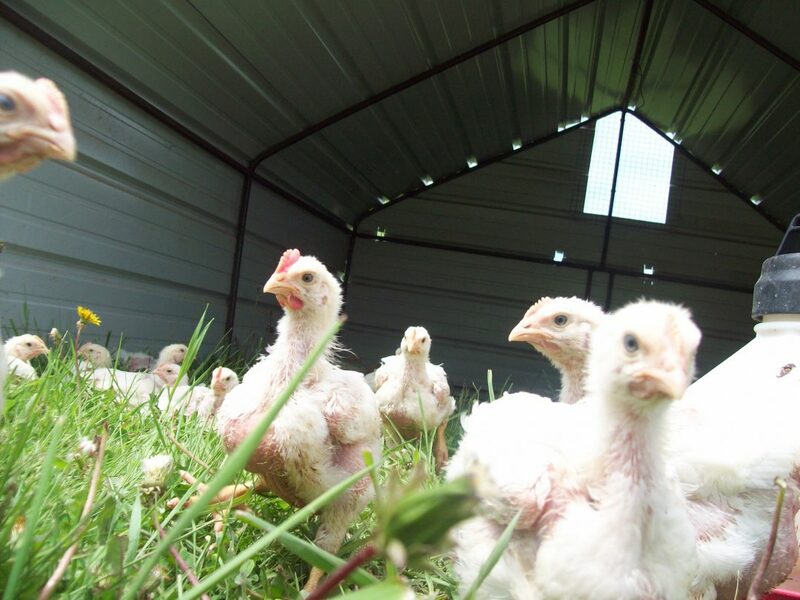 By moving the pens every day and only raising poultry when the fields are lush and green, manure is quickly incorporated, building the soil and making our pastures even more lush and green. We sell frozen whole and half chicken. Please contact us for pricing and availability.